Are you an After Effects user new to Resolve 15? 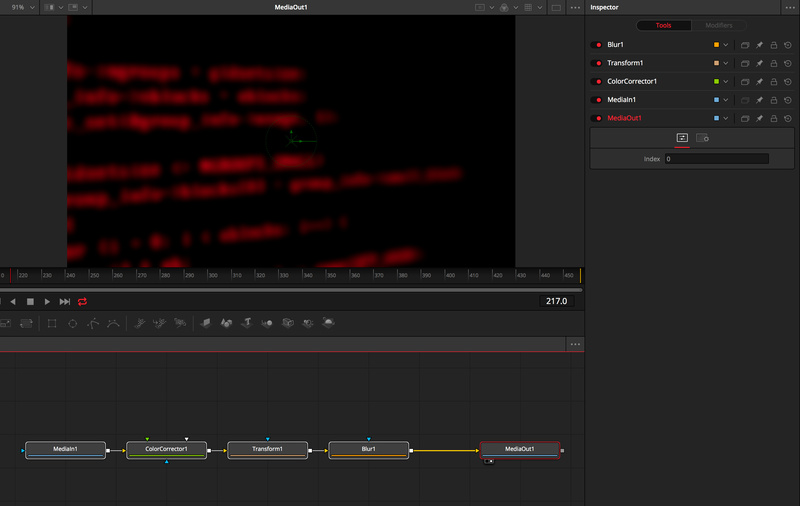 The Fusion Page in Resolve uses nodes instead of layers which takes some adjusting to. Let’s look at the evolution of Resolve and then 5 tips. 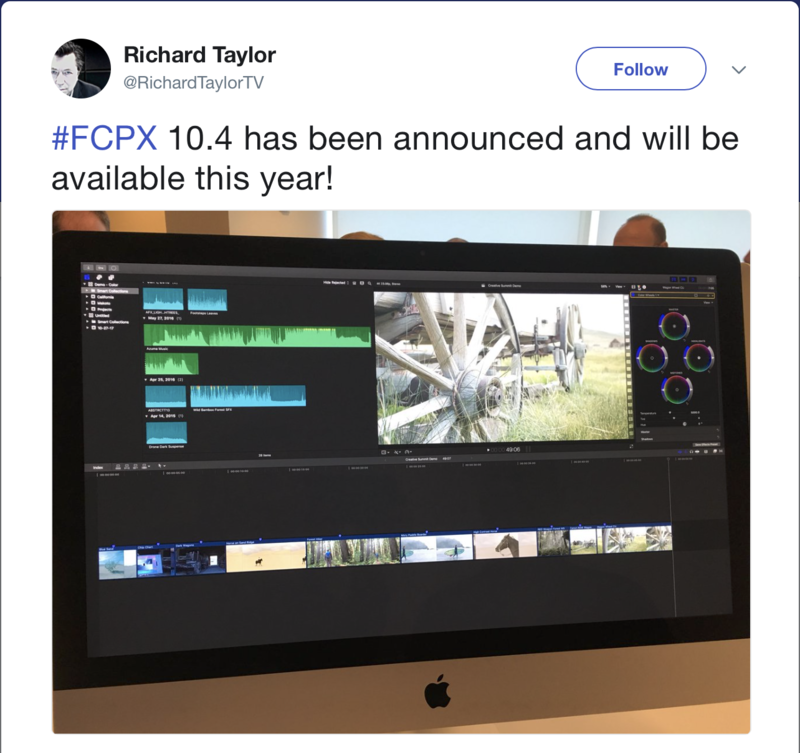 Fusion interface: 2 Viewers, Node Editor, Inspector One of the biggest news at NAB 2018 was DaVinci Resolve 15 and the integration of Fusion, a node based compositing app. 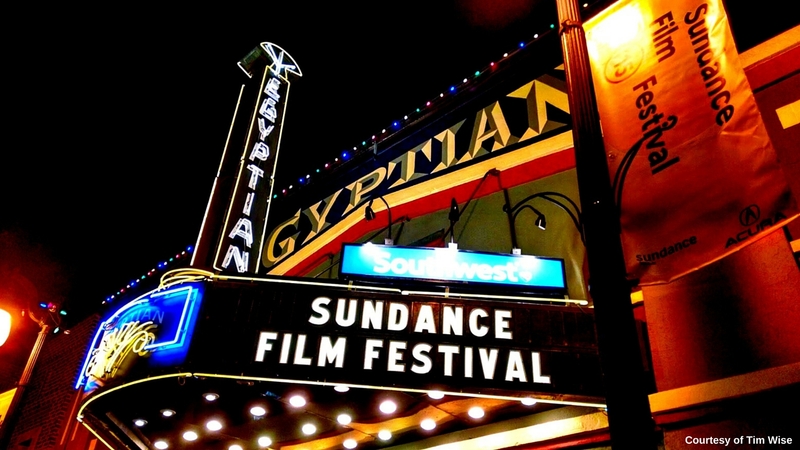 (Previously we wrote about Resolve 15’s NAB announcement here). 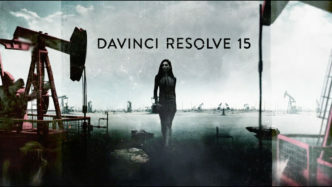 Da Vinci Systems announced Resolve in 2004, a high end, expensive 2K color grading system. 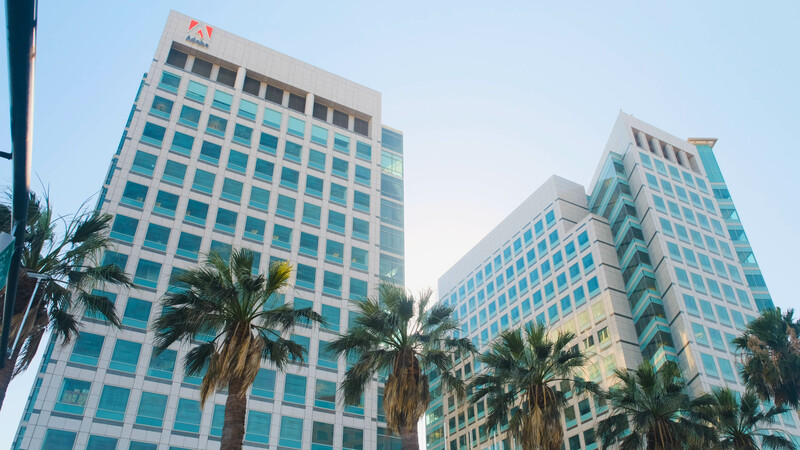 Blackmagic Design bought the assets of Da Vinci Systems in 2009, Eyeon Software Inc’s Fusion in 2014, and the DAW Fairlight in 2016. Resolve 15 has 6 pages that you perform specific tasks in. The Media Page is like a project, The Edit for editorial, Fusion for motion graphics/composting/vfx, Color for color grading, Fairlight for audio, and Deliver is where you output your files. you do specific tasks in separate Pages and work left to right Previously Resolve 14 and Fusion 9 were separate apps, but Resolve could send a timeline to Fusion via the “New Fusion Connect Clip” command. With Fusion now being in Resolve 15, you can work quicker and make changes easier. Hence being able to do everything in one app will appeal to a lot of creative professionals. With DaVinci Resolve 15 offering a free version and a studio version for $300 (you own it), many editors and motion artists will try it out. 1. You create Fusion Titles from the Edit Page A common motion graphics task is to create a title or lower third. Resolve 15 adds 3D Fusion titles to the Effects Library, similar to what is available in After Effects. Find a Fusion Title you like and drag the title to the timeline. 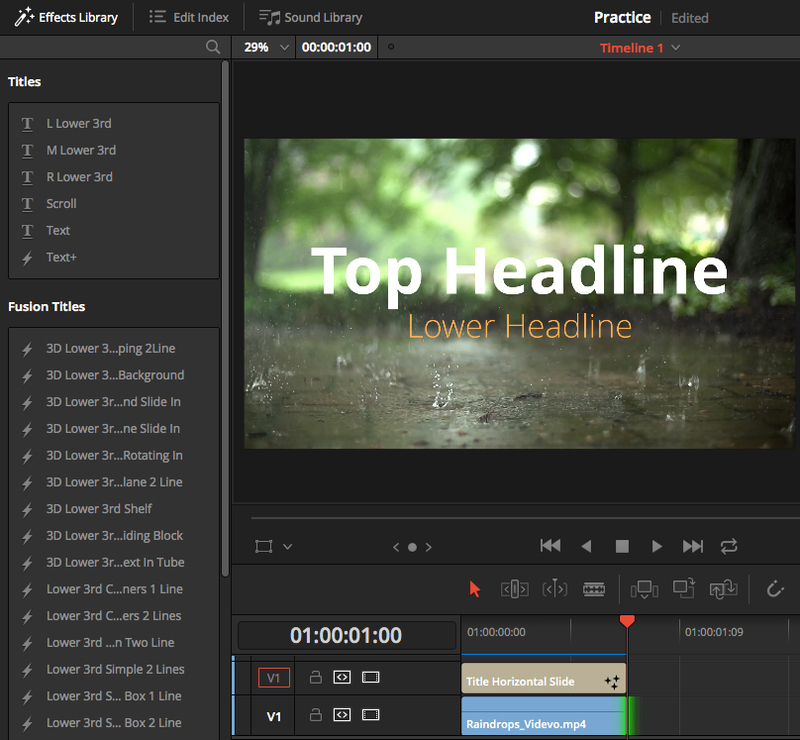 You then make changes to the title from the Inspector panel (similar to the Effects Controls panel in AE). An icon (3 stars) on the Fusion Title in the timeline indicates it is a Fusion clip. adding a Fusion Title from the Effects Library 2. Using the Fusion Page Put your playhead over a clip in the timeline in the Edit Page. When you click on the Fusion Page you see a MediaIn node and a MediaOut node. The MediaIn is the clip from the Edit Page, and the MediaOut is the output of the Fusion Page. Putting your playhead over a clip in the timeline results in MediaIn and MediaOut Nodes in the Fusion Page Resolve 15 has an integrated timeline, so whatever you do in Fusion is available in the Edit, Color, Fairlight and Delivery Pages. What is important in Fusion is that you are connected to the MediaOut Node, or you will not see anything in any of the Pages. mediaOut1 disconnected: We don’t see anything 3. The Fusion Page Interface and the logic of nodes Where as AE works by compositing layers on top of each other, Fusion connects nodes together in a flow chart or flow. Just like AE, you can key footage, track and stabilize footage, use expressions, and create motion graphics. Some advantages of Resolve are Vector Paint, true 3D compositing and particle systems. The Fusion Page has 4 sections, with the Media Pool and Effects Library on the left, 2 viewers at the top, the Work Area on the bottom, and the Inspector on the right. You create your node trees in the Node Editor, which along with the Spline and Keyframe Editors make up the Work Area. By default you see the Node Editor at the bottom, and the Spline and Keyframe Editors are closed. Fusion Page Interface There are 2 viewers which you can load a selected node in. (you can also change to a one viewer layout). Load a node into a viewer by selecting it and pressing 1 (left viewer) or 2 (right viewer). Viewing the MediaOut node in the right viewer 4 . The Toolbar lets you quickly add often used nodes The Toolbar above the Node Editor lets you add often used nodes like text and masks. 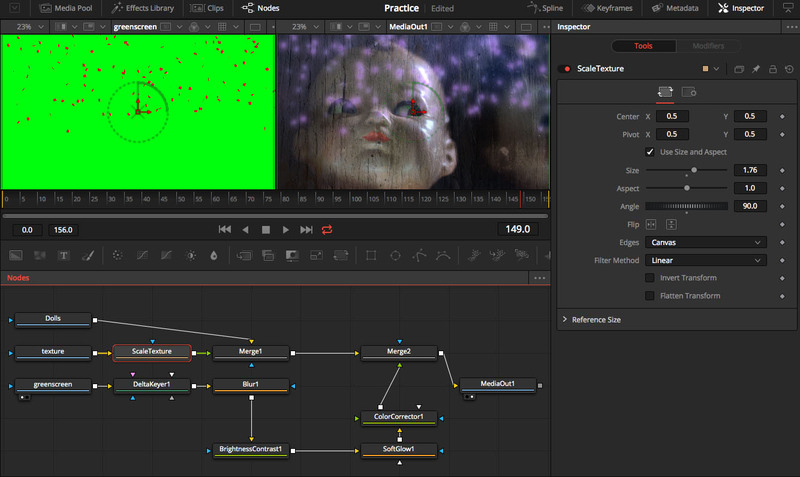 Resolve calls these nodes Tools, and even more tools can be found in the Effects Library. Let’s add a Color Corrector to see how this works. 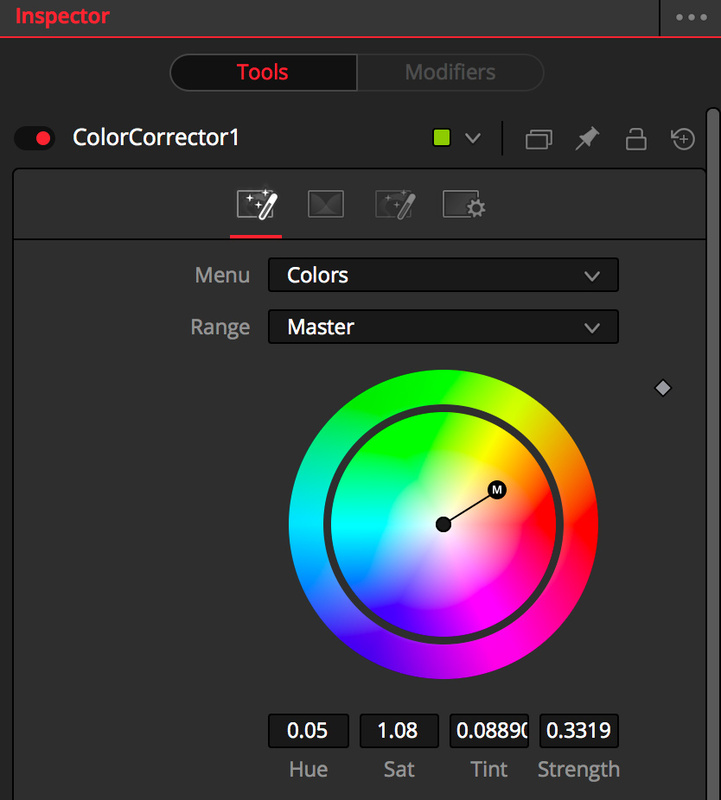 Make sure MediaIn1 is selected, and click the Color Corrector icon in the Toolbar. Color Correction1 now appears between the 2 media nodes. You can now modify the color correction settings in the Inspector. Color Corrector Inspector Tools 5. Basics of working with Nodes What would be a transform (scale, rotation, etc) or an effect in AE (color correction, blur, etc.) is called a Tool in Fusion. You create separate nodes for each Tool you want to add. So if you wanted to add a Color Corrector, a Transform (to resize)and a Blur Tool, you would add 3 nodes. 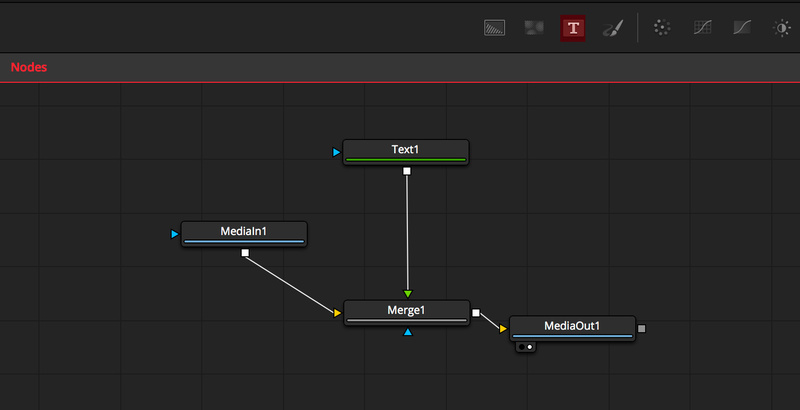 a basic node tree with 3 Tools We have to use Merge Nodes to connect 2 clips together or connect a clip to text. To see how this works lets add text to a clip. Select the MediaIn1 node, and click the Text icon from the shortcut menu. The 2 clips are automatically connected with a Merge 1 Node, with the Text being the foreground (top) and MediaIn1 the background (bottom). If you want to connect another clip, that requires another Merge Node, as Merge Nodes have only 3 inputs (Foreground, Background, and Effect Mask). Merge Node – Text+ Tool highlighted in Red To keep the node tree from getting confusing, rename a node by selecting it and pressing F2. This is particularly important with complex node trees so you know what each node is doing. Rename node with F2 shortcut Extra Tip: Creating a Fusion Clip in the Edit Page When you need to create more complex composites, creating a Fusion Clip from the Edit Page is a quick way to work. From the Edit Page, select multiple clips in the timeline, right click and select “New Fusion Clip. In my example I have 3 clips, so Fusion automatically connects the 3 clips with 2 Merge Nodes. I then changed the Composite Mode for each Merge Node and added a soft mask to the texture. New Fusion Clip with Merge Nodes automatically connected So that’s a quick look at working with nodes in Resolve 15. Hopefully these tips help you get comfortable with Fusion in Resolve 15. 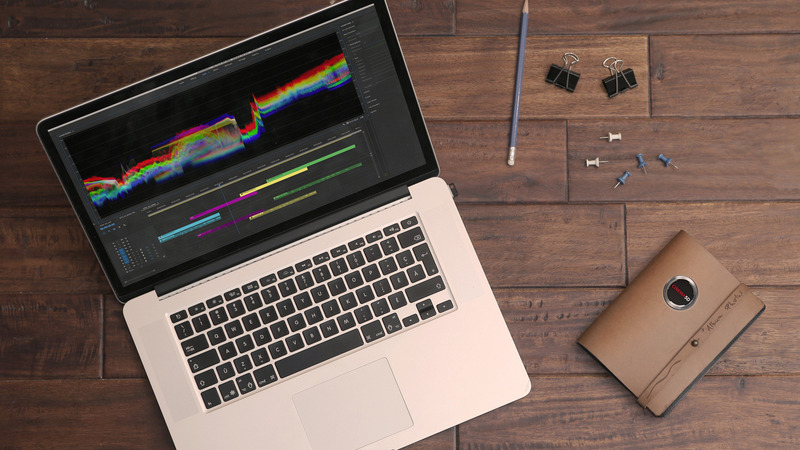 For a deeper dive into Resolve 15, download the New Features and the Configuration Guides available at the BlackMagic Design Resolve Center webpage. Are you a Resolve 15/Fusion user? Do you have additional tips to share with us? Let us know in the comments below! We all know being an editor and editing can be a fun and creative thing, but it can also be time consuming and counterproductive when you’re not really “into it”. These tips will help you be more efficient. You have something to deliver to a client today, or it’s Sunday, there is a beautiful weather outside, and you feel stuck in front of your computer and that empty timeline of your editing project? Here are five quick tips to make you more efficient: 1. Avoid Disturbances Simply shut off everything that can be distracting like E-mails, Facebook, Twitter, Instagram, Phone… you name it. Cut Internet. It can look like it’s just a waste of two or three minutes, but it cuts you off from your editing session, and it can be hard coming back in after. However, you don’t have to edit eight hours straight, go take some breaks every hours or two, go drink something, talk to somebody for a minute, do a little exercise… you’ll come back on your edit with a fresh eye. Write down your ideas first. 2. Don’t edit, just yet Don’t edit straight away. Once your project is fully loaded with all your amazing footages, sounds, musics, graphics, take a paper and a pen, an iPad, a towel or whatever and just think about it. 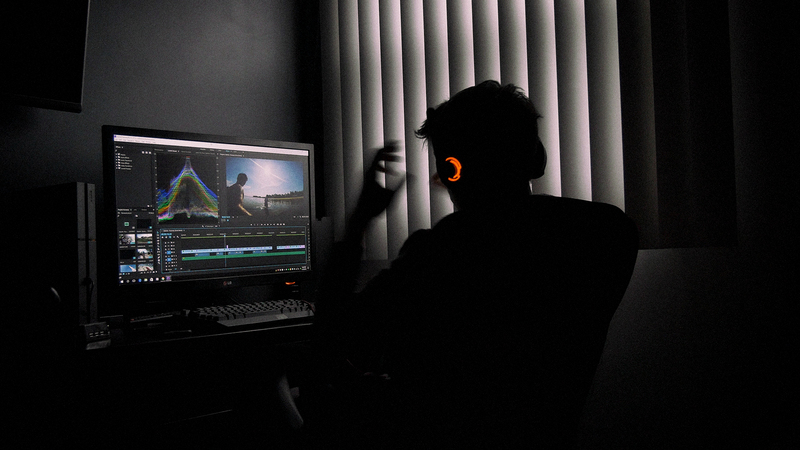 It’s pretty much useless to blind edit, you’ll lose some time and you won’t be more efficient. Instead, just write down your ideas, how you want to tell the story, the path you will follow during that edit session. It’ll enable you to structure your ideas and your story. 3. Assign Keyboard Shortcuts to Your NLE Taking five or ten minutes to edit your most used shortcuts at the beginning of a project can really save you days of work, simply by assigning the tools YOU use the most. 4. Color Code Your Material It can seem boring, but color coding and organizing all your materials can be a life saver. Take some time to assign a color to each scene or interview so you can find them quickly in your bins or in your timeline. When your client is sitting right next to you, asking you for a modification on the edit, you’ll quickly be able to show him what you’ve got. Apart from looking colorful, it will show him that you’re a really organized person, ready for the next job. 5. Try and Destroy Don’t be afraid to try things that can seem to be weird or not logical, invert your sequences, start by the end, play with the speed of your footage… It will not work every time, but you can sometime find some interesting and new ways to tell your story, because there is not only one way to tell a story. Remember when you’re editing that it’s a technical thing, but also an artistic part of the project, and that there is no rules you can’t break. What about you, when editing on a lazy day, do you have some tips on how to stay creative and efficient? Please share with us in the comment section below. This is the second tutorial in my editing tips series. This time around, I will show you how splitting your audio and video edits will create a naturalistic flow when editing dialogue sequences. I will break down not only how to split edits, but why you should split edits. Absorb Your Viewer For me, one of the most powerful aspects of filmmaking is the ability to place your viewer in your scene and give them a privileged vantage point over what’s unfolding. If everything comes together just right, the viewer should become totally absorbed in the world they see on the screen in front of them. 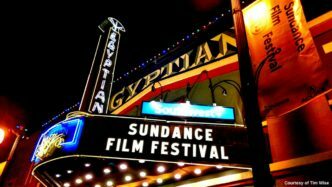 As the editor, you carry a lot of the burden of selling the director’s vision to the viewer convincingly, particularly when it comes to editing dialogue sequences. Prescience Imagine you and some friends are having a conversation. You are part of the conversation, but you are not talking right now. Unless you can see in to the future, you wouldn’t know who was going to speak next, or at what point one of your friends may interject. Because of this, you would only know to look at one of your friends a second or so after they start talking. To put it another way, imagine you’re walking down the street when suddenly you spot a friend walking a bit further ahead of you. It would be incredibly weird if, just as you go to shout out their name, they turned around and looked directly at you. Now imagine that happening all the time, all day! You look at the front door, just as the postman pushes your letters through it. Your kids look up from the iPad you got them last Christmas at the exact moment you call their names! Yeah, never going to happen, is it? Pretty Boxes All in a Line Yet, all too often, when watching the work of people who are new to editing dialogue, you will find cuts that create exactly this type of effect. 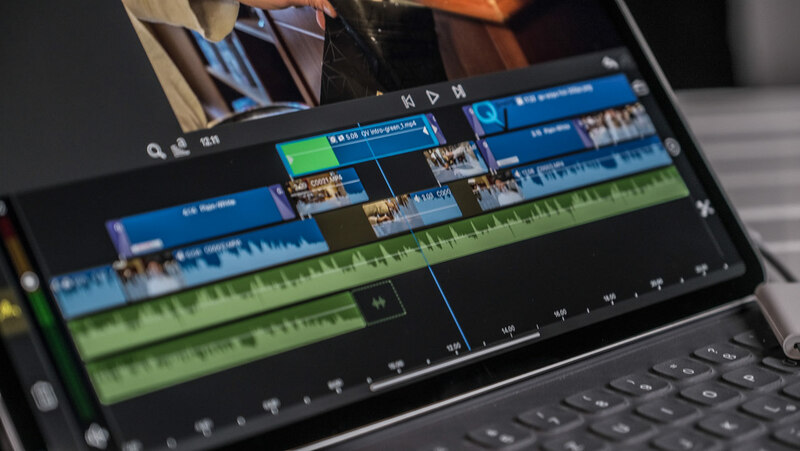 A major cause of this is that the act of editing – essentially connecting coloured blocks together on a timeline – is at odds with the idea of organic, jumbled, overlapping audio and video cuts. When you consider how independent our own mouths and eyes are in real life conversations, you can start to see how, to a certain extent, the timeline works against you when assembling your dialogue sequence. Edit Like a Sculptor Like most things in editing, though, if you approach it in an iterative way, tackling it in multiple passes, each time refining further and just like a sculptor would with a block of stone, then actually it becomes very easy to create naturalistic cuts. 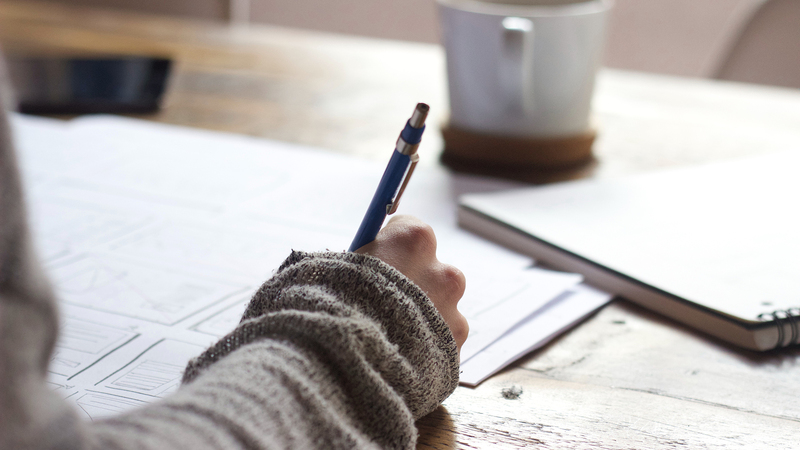 On your first pass, it is much easier to simply mark your lines of dialogue, or sound bites in an interview, and assemble them linearly on your timeline. In fact this approach to editing dialogue is very similar to what we discussed in my previous article, Editing Action. You start by cutting at obvious breaks in the conversation, to establish the overall timing and content of what’s being said. That will get you pretty close, though at this stage you’ll have hard cuts and even jump cuts. On your second pass, however, you start rolling the video edits away from the audio edits (splitting the edit), to create the organic, conversational, style you’re after. The Split The mechanics of splitting an edit may be new to you. You have to use the Trim tool (FCPX) or Roll tool (Premiere) to roll your video edit away from the audio edit. By default, though, this won’t be possible, as both programmes lock the two together to maintain sync. Most of the time this is a good thing, but not now. In FCPX, either double click on the waveform (bottom half) of your timeline clips or use the keyboard shortcut Ctrl-S to ‘expand’ your audio components. In Premiere, turn off the ‘Linked Selection’ button in the Timeline’s tool bar or hold the Alt key down to temporarily disable linking. You can then roll the video either left, to create an ‘L cut’ or right, to create a ‘J cut’. You should find yourself using more J cuts then L cuts when editing dialogue, as they most closely mimic the reality of audio triggering a visual change. After this simple task is done, you will discover that your scene suddenly feels much more natural and will have a flow to it that is utterly convincing. The Reaction Finally, if there are any particularly long bits of a character’s dialogue, you can cut away to a reaction shot from your other character and then back again to see the last part of the first characters lines. This breaks up the visual monotony and also allows you to convey more to the viewer about the dynamics of the characters relationship, e.g. maybe the cutaway reveals the other person sneering (enemy) or smiling enthusiastically (friend) or not paying attention (arrogant), etc. Summary Simply cutting to each person as they start to talk creates a watchable, but unnaturally staccato scene. 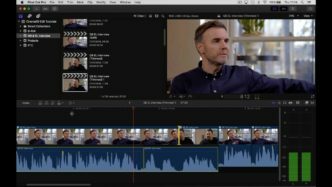 As you’ll see in the accompanying video, I apply this simple technique to a scene from a documentary we made earlier this year with Gary Barlow. It clearly demonstrates how editing dialogue sequences in this way, by splitting the edit, massively improves the flow of the film. In this example, you become more quickly immersed in the conversation Gary is having with his writing partner, Elliot Kennedy. In the next tutorial, I will take this same scene to the next level by, expanding on these techniques and showing you how to lay cutaways down quickly and effectively, using three point editing. Is the New Macbook Pro 2016 Fast Enough for 4K Video Editing? As you probably know, Apple recently unveiled an entirely new line of Macbook Pros that introduced several changes to their design and functionality. 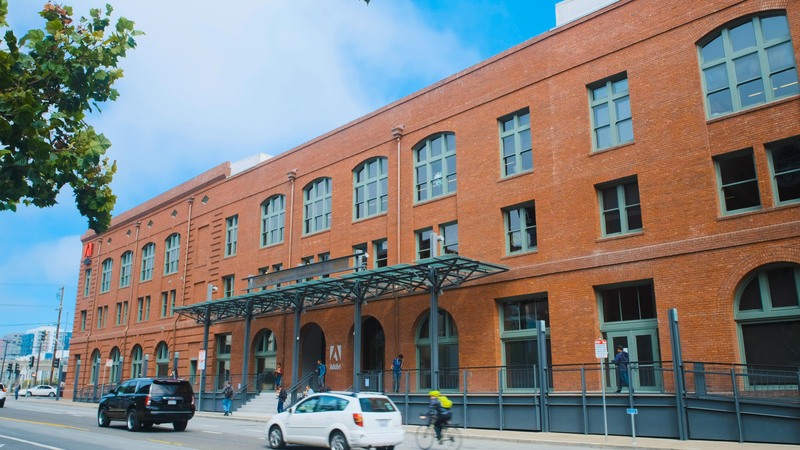 Many professional users voiced concerns about the removal of ports, among other things. The high price and low specs on paper have also earned criticism in many articles and forums. But even for those who choose to overlook such shortcomings, one question remains unanswered: is the MacBook Pro 2016 fast enough in real life for 4K video editing? Macbook Pro 2016 Fast Enough for 4K or Not? Reviews for the Macbook Pro 2016 without the touch bar have been flooding the internet for the last two weeks, and we know for a fact that it isn’t fast enough to cope with a real life 4K workflow. But the new touch bar 13-inch and 15-inch models only arrived at customers’s doors today. A few reviews and the first benchmarks have been published, and the results are rather surprising in both directions. While we do not have a Macbook Pro 2016 model for review at cinema5D just yet, we were very curious to see what other professionals are writing so far, and what the first benchmarks tests are revealing. This way, we can start to make out if the upgrade to a Macbook Pro 2016 is worth it for 4K video editing. Macbook Pro 2016 Benchmarks We all know that 4K editing performance is to a large degree dictated by a the speed of your machine. In other words, we need good specs and performance. The entry level Macbook Pro 2016 13-inch has a 2Ghz i5 processor, which sounds rather underwhelming considering my 2011 Macbook Pro had a 2.4ghz i5 processor. Is it slower than that? No, in reality it’s not that simple. When you look at benchmark scores you quickly see that even the entry-level, non touch bar 2016 model has some more power under the hood than expected. Macworld has taken a closer look at the specs of all new Macbook Pro models in their Macbook Pro 2016 review. iFixit opened up the 13-inch Macbook Pro 2016 CPU Image Courtesy of Macworld.com These are Macworld’s multicore CPU results of the new Macbook Pro 2016. As you can see, the entry-level 2Ghz Macbook Pro 2016 13-inch model is slightly faster than last year’s 2015 retina Macbook Pro model with 2.7Ghz. What? On the other hand, if you expect the 2016 13-inch model with touch bar and 2.9Ghz CPU to score much higher, you’d be mistaken again, as the 2.9Ghz version is only 3.8% faster than the non-touchbar version. So even though the touch bar CPU has 30% more Ghz, it is only 4% faster. Although I’m confused by these results, they are also revealing, and looking at benchmarks before making a purchase decision seems like a very good idea. This tells me the non touch bar version and the touch bar version have a very similar speed. And if the touch bar is the only deciding factor between the two, then many people will probably decide to live without it. As expected, the 15-inch model scores much higher in terms of CPU performance, and just like last year’s model, it runs in a completely different class. Its CPU multicore score is about 41% higher than the 13-inch models, but surprisingly it is weaker than the 2015 model… These results are in line with Engadget’s findings on their review, so they seem to be accurate. GPU Image courtesy of Macworld.com Graphics performance is another revealing aspect about 4K editing performance. I’m relieved that at least in this aspect the 2016 machines outperform the 2015 models of Macbook Pros. We can see the 15-inch Macbook Pro 2016 features very high speeds in comparison to all other models. Also, the 13-inch models are faster than the old Macbook Pros, but again the touch bar version seems only slightly better than the non touch bar version of the Macbook pro 2016. Disk Speed Apple claims disk speed on their new Macbook Pro’s is insanely fast. As it turns out, this was no exaggeration. 9to5mac tested drive performance of the entry level 13-inch model and sees read speeds of up to 3GB/s and write speeds up to 2GB/s, which they say is basically the fastest drive read and write speeds of any stock computer available today. That is great, but unfortunately disk speed is only one of many important factors when it comes to a machine capable of editing 4K video. 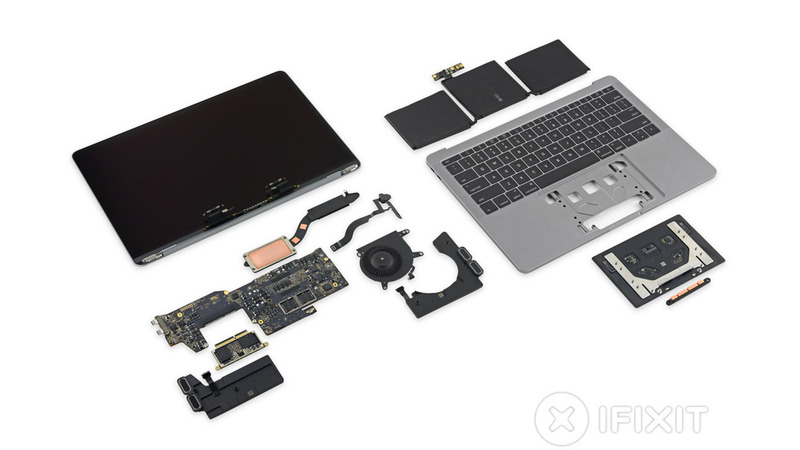 iFixit opened up the 13-inch Macbook Pro 2016 What else? According to another source (arstechnica.com) there are some other technical differences between the touch bar and non touch bar models that are worth pointing out: Aside from the CPU and GPU clock speed differences, the touch bar model’s 28W CPU can run faster for longer and throttles less frequently in comparison to the non touch bar 15W CPU. The non touch bar 2016 Macbook Pro only has two Thunderbolt 3 ports vs the four on the touch bar model. But according to arstechnica.com: The two ports on the right side of the MacBook Pro have “reduced PCI Express bandwidth,” which Apple says means they have two PCIe 3.0 lanes worth of bandwidth at their disposal instead of the four lanes dedicated to the ports on the left side This seems to be worse when connecting high-performance storage arrays like 4K editors usually do, so you should connect those only to the left-side ports. In terms of RAM, unfortunately all Macbook Pro 2016 models max out at 16GB. 32 would be better and recommended for 4K video editing. There is one more difference though: it seems like the non touch bar Macbook Pro uses 1866MHz LPDDR3 RAM while the touch bar version uses 2133MHz LPDDR3, making the RAM faster. Again, faster RAM unfortunately does not make up for the 16GB limit. In reality, the RAM speed should only have a minor impact on editing performance. 4K in the Real World? So, how do these facts translate to real world 4K video editing? In their review of the 13-inch touch bar Macbook Pro 2016, the Verge offers some insights. 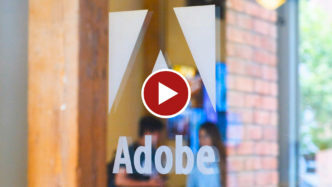 They say that the 13 inch is snappy and “without hiccups” in day-to-day use, 1080p video editing in Adobe Premiere is no problem, but apparently 4K video “becomes unworkable”. 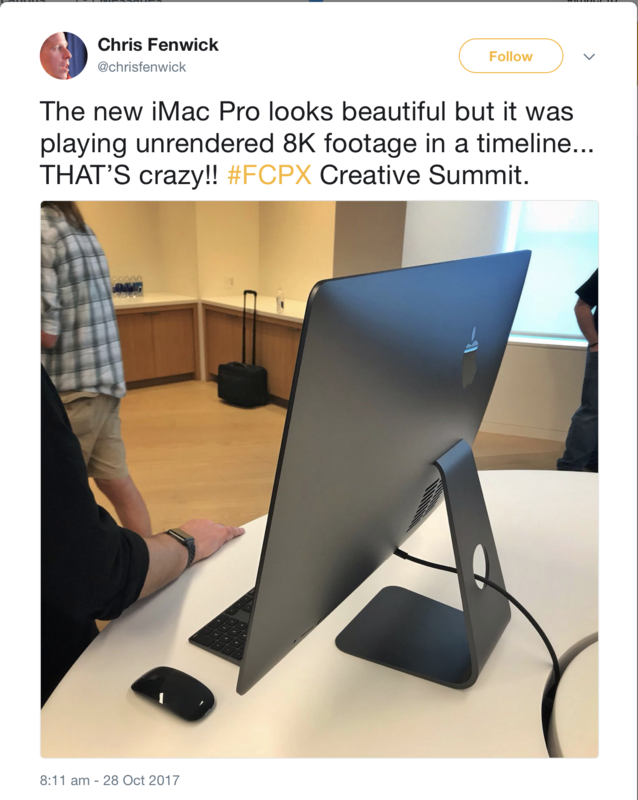 In their tests, however, the 13-inch MacBook Pro could handle small 4K files smoothly in Final Cut X. The 13-inch MacBook Pro can handle small 4K files smoothly in Final Cut Pro, but that isn’t the app that most editors use. It’s not a win where it counts. In their review, it was a different story with the 15-inch model. 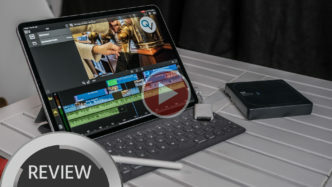 According to the Verge, it is a step up from older 15-inch Macbook Pros and it was capable of handling smaller 4K projects in Premiere and Final Cut. But on larger project files “the computer starts lagging pretty seriously” and the performance was better on the 2013 iMac. Wow. As far as I can tell, this is probably due to the 16GB RAM limit on the Macbook Pro 2016. In terms of speed, at least the 15-inch Macbook Pro 2016 seems to be ready to perform basic 4K video editing tasks, but as soon as you’re working on a bigger project, unfortunately none of the 2016 Macbook Pros seem to be ideal. Positive Voices But there are positive voices too. Thomas Grove Carter is a professional editor at Trim who had a chance to spend a week with a 15-inch Macbook Pro 2016. 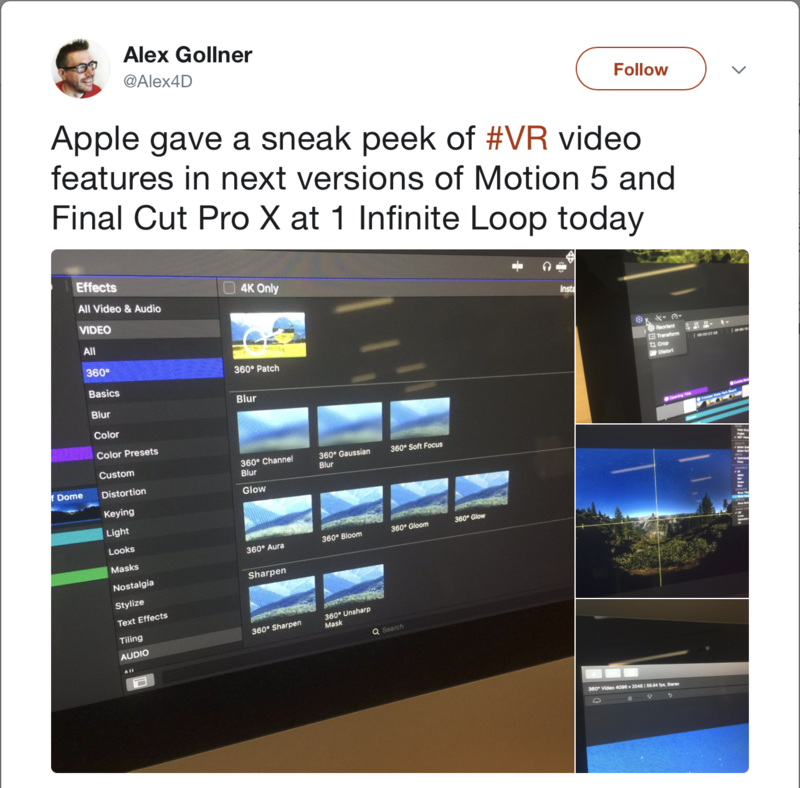 In his article at Huffington Post Tech, Thomas shares his experience working on Final Cut X as “buttery smooth” and says: the software and hardware are so well integrated it tears strips off “superior spec’d” Windows counterparts in the real world. 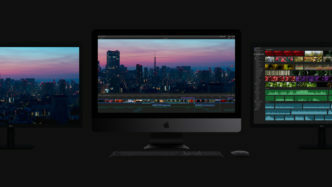 Thomas would consider the 15-inch Macbook Pro 2016 his 24/7 edit suite for both office work with 2 connected 5K displays as well as work in the field. 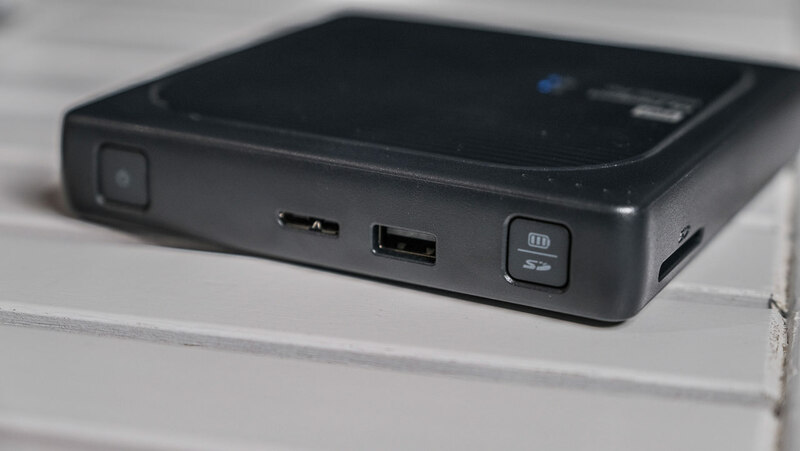 He also equipped his setup with USB-C SSD’s, eliminating the need for additional dongles. 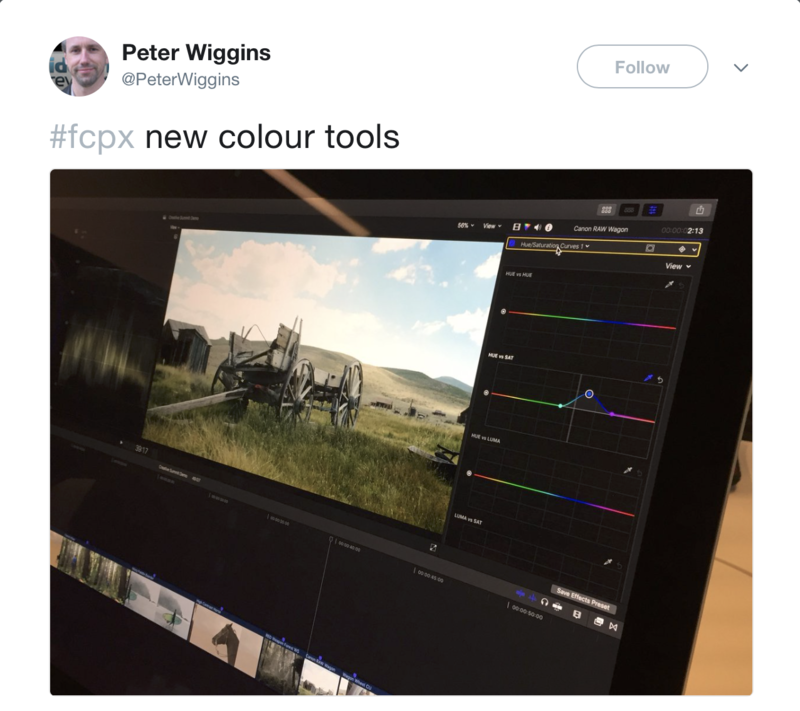 Thomas enjoys the touch bar on Final Cut X and seems to suggest that people need to adapt to the design decisions Apple laid out with the new Macbook Pros. If they do, then there’s a lot of power and potential to be harnessed from these machines. In his words: For me, I love it and I think most people will do too… once they actually touch it. There are more reviewers saying good things about the new Macbook Pros, but few of them are using the laptops with a 4K editing workflow in mind. 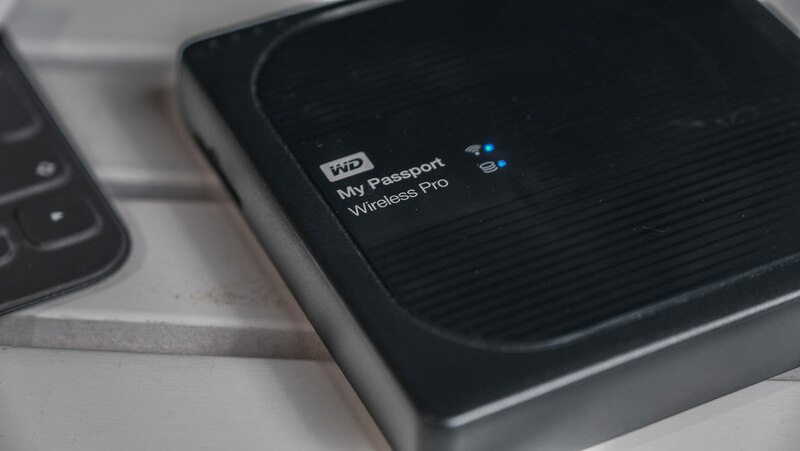 As machines for day-to-day office tasks, photo and 1080p video, they probably perform remarkably well, and the build quality and simplicity is beautiful and enjoyable. Conclusion I’m trying really hard to love the new Macbook Pros and probably many professionals find themselves in the same position. Even if we don’t like to admit it, Apple has cleverly bound users to their eco system and has been making them adapt to and rely on their systems for a while. 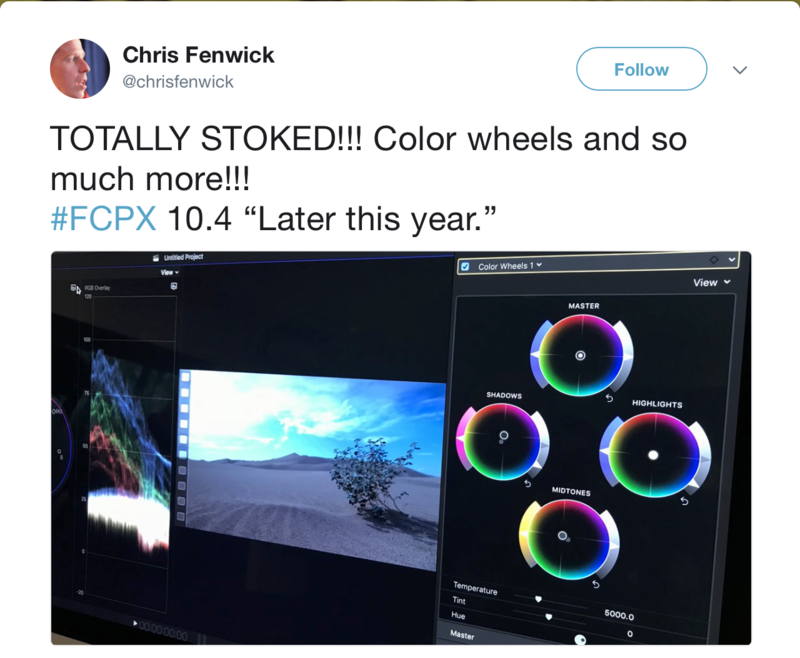 With the need for higher resolutions like 4K, more color depth and ever-more complex processes during a 4K workflow, the need for higher performance machines has risen in recent last years also. So is the new Macbook Pro 2016 fast enough for 4K Video Editing? Unfortunately, it seems like the power of the new 2016 Macbook Pros is not up to speed with this development. Instead, Apple focused on consumer interests, like port simplicity, a more immersive display and sound experience, thinness and lightness. Regardless of whether that touch bar turns out to be a great asset or just a gimmick, the fact of the matter is: we are left with a machine that is too weak to cope with current professional editing trends and standards, and lacks the ergonomics professionals depend upon, like long battery life, versatile ports and the still much-needed SD card slot. Apple has always had a very narrow set of options that users have had to embrace and adapt to. 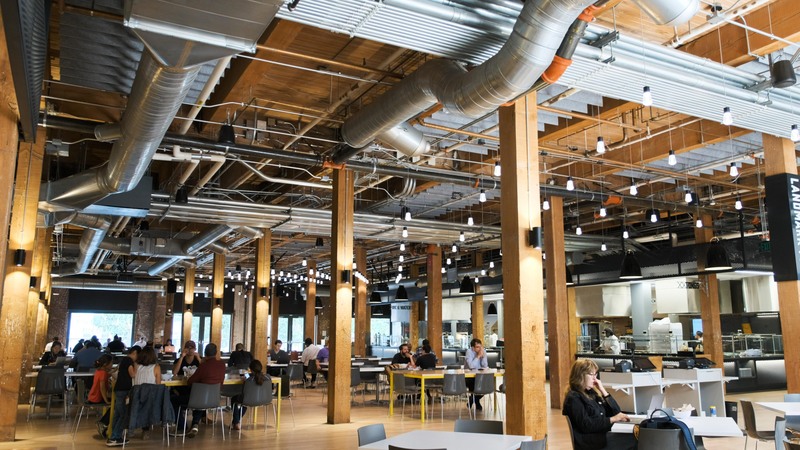 They dictate the way users should be getting their work done, but this time the changes and decisions seem too drastic and probably many professionals will be left behind. 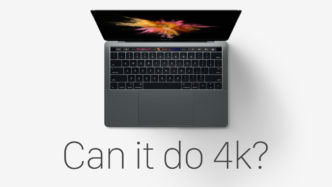 If it is really true that you can only edit 4K video on a maxed out 15 inch Macbook Pro 2016 with Apple’s proprietary software, that will be certainly be considered by many not to be professional enough, and we’re going to have a problem. What is your conclusion? Tell us why you think the Macbook Pro 2016 is great / not so great in the comments below.